The American Society for the Prevention of Cruelty to Animals (ASPCA), established on April 10, 1866, has had an incredible impact on our society, changing people’s views about the way in which animals should be treated. Over the years, one of ASPCA’s efforts has been to try and prevent the keeping of wild animals as pets. But, this practice continues to this day, and over the centuries, many famous people have kept wild animals as pets. They’ve ranged from alligators to elephants to zebras, and in many cases, their eccentric owners were just as bizarre as their pets! Winston Churchill once wrote, “I am fond of pigs. Dog look up to us. Cats look down on us. Pigs treat us as equals.” While there is no record of Churchill having a pig as a pet (which is actually not that unusual anymore), a number of historical figures were known for the odd pets they kept. Let’s take a look at some of these pets and their famous owners. 1. Tycho Brahe. Pioneering astronomer, Tycho Brahe (1547-1601), reportedly kept a young moose (or, in some accounts, an elk) as a pet. Apparently, Brahe would lend the tame creature to various nobles for parties or amusement, as a way of influencing potential patrons. On one such jaunt, the poor creature was allowed to get drunk on beer and fell down a flight of stairs. Having broken its leg in the incident, the moose died shortly thereafter. Poor guy. 2. Marquis de Lafayette/John Quincy Adams. Presidents of the United States have had a number of odd pets over the years. For instance, John Quincy Adams had a pet alligator, given to him by the Marquis de Lafayette.The alligator was apparently kept in a bathtub in one of the White House bathrooms, which naturally startled guests. 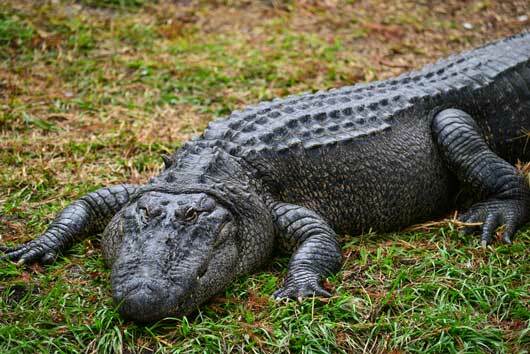 The alligator stayed in the White House for several months before being moved to a different home (where, exactly, is not recorded, but we hope it was nice and swampy). 3. Salvador Dali. Surrealist painter Salvador Dali was known for being eccentric, from his wild mustache to his manner of speaking. It shouldn’t be surprising that he also had an unusual pet, his ocelot, Babou. Dali acquired the cat on a visit to Colombia in the 1960s, and would take it everywhere he went; to restaurants, on a cruise and even to public displays of his work. He once told a startled restaurant guest that the cat was merely a housecat on which he had painted an op-art design. 4. Michael Jackson. The story of singer Michael Jackson’s pet chimp, Bubbles, has become somewhat iconic. Bubbles was sold to the Gloved One by a Hollywood animal trainer. The young chimp was taught how to moonwalk, appeared in music videos and travelled everywhere with Jackson. By the age of 4, Bubbles had become too hard for Jackson to handle and was placed in a compound on the singer’s property. After Jackson’s death, Bubbles was moved to a primate rehabilitation center in Florida, where he still resides. Happy trails, Bubbles. 5. King George I. The British king reportedly kept a wild human boy, named Peter, as a pet. The boy was found naked in a German forest in 1725. As George was the Elector of Hanover, Peter was brought to him at Kensington Palace near London. The child would amuse visitors to the palace by walking around on all fours, picking pockets for treats and stealing kisses from female guests. Because he was prone to wandering, he was given a collar, with instructions to return him to the palace if he got lost. Peter later went to live with caretakers, where he remained until his death at age 70. 6.. Pope Leo X. Leo X (1475-1521) kept a white elephant named Hanno as a pet. The elephant was given to the pope by the King of Portugal. Unfortunately, the elephant became ill after having lived in Rome for three years. Medicine given to it by the pope’s physicians caused its death. 7. Josephine Bonaparte. Napoleon’s first wife kept an orangutan named Rose as a pet. The baby ape was female and so was dressed by Josephine in little girl’s clothing. The orangutan accompanied her mistress to the dinner table, and may even have accompanied the Bonapartes to bed. 8. Louisa Adams. As previously noted, President John Quincy Adams kept an alligator in the White House for a time. His wife, First Lady Louisa Adams, as a cure for the isolation she felt, raised silkworms and spent her time winding silk from them. We can’t imagine silkworms are very good conversationalists, but at least they don’t talk back.